Here’s an unlikely combination and a great one for the season. 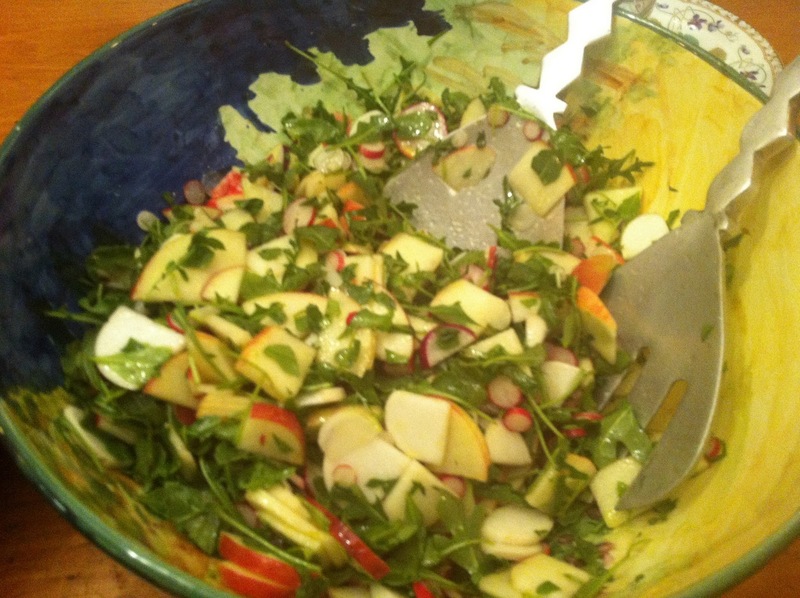 Thinly slice equal amounts of radishes and apples and combine with some loosely chopped arugula. Toss with cider or white Balsamic vinegar, some extra virgin olive oil, and kosher salt and white pepper to taste.